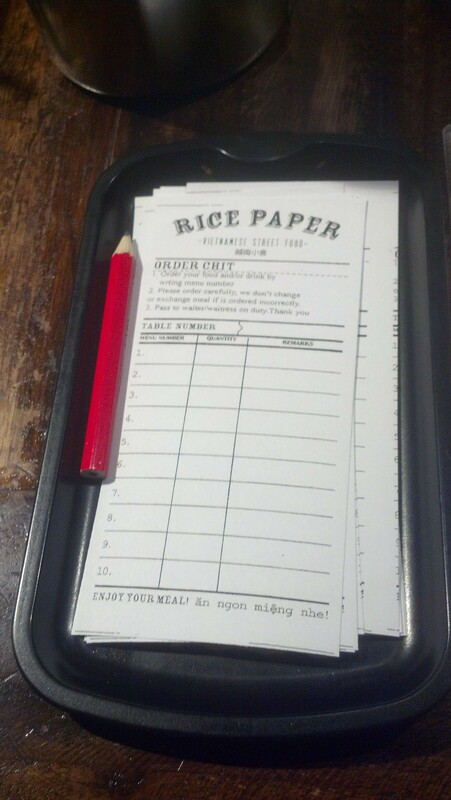 You then look through the menu and write down on the paper the dish numbers and in what quantity. I don't know if this is a standard practice in Vietnamese restaurants, as I have little experience with them, however I couldn't help but think it was a brilliant way to handle split-bills in a group situation. 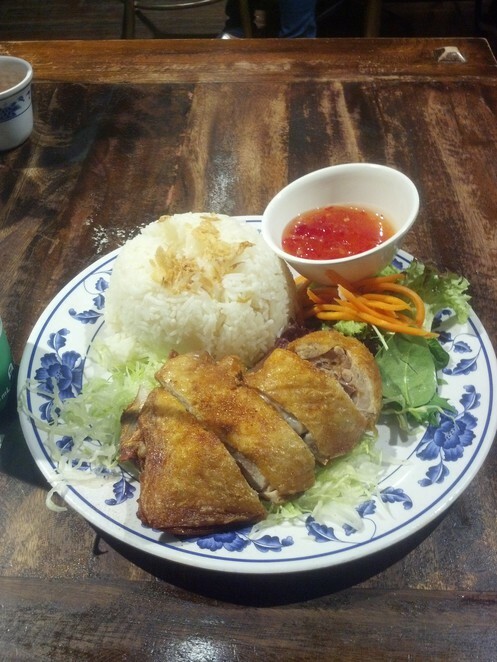 These two meals are listed as Traditional Favourites: Pork Chop Rice and Crispy Skin Chicken Rice. 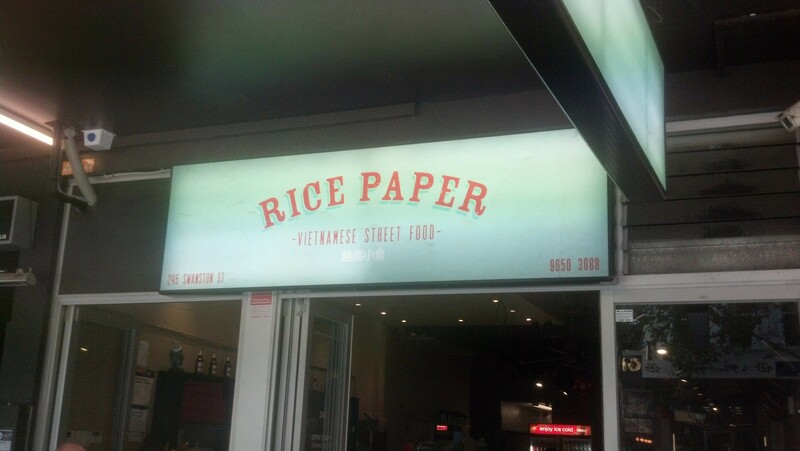 One of the things I look out for when dinning at a restaurant is how quickly the meal is served and one of the great things about Rice Paper is that meals are cooked and brought out quickly. Meals are also reasonably priced, for example a couple could get two mains and two drinks for roughly thirty dollars (depending on order). Rice Paper, like Yoyogi, also has a front counter take-away snacks available. However, unlike Yoyogi, the sit-down restaurant area is large enough to accommodate a shopping trolley or a pram and it wouldn't feel cramped or that you were taking up a lot of space. This is definitely my 'go to' place whenever I'm in the city. Food is good, cheap and fulfilling. Nice ambiance too. Check out GiGi nearby at 237 Swanston (perhaps you can do an article)..that's the other place I went to very often, but too busy loving Rice Paper at the moment. The Avacado drink at GiGi is amazing. 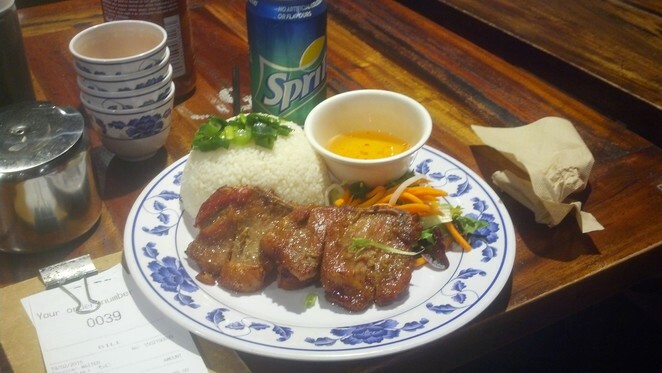 Agreed, this one is always a fave for cheap eats in the city. My fave is the vermicelli bowl.